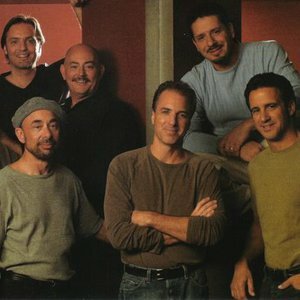 "The Rippingtons are a contemporary or fusion jazz group...formed in 1986 by guitarist and band leader Russ Freeman (not to be confused with the jazz pianist of the same name), their career has spanned two decades. With a revolving door of musicians, Freeman has been the only consistent member. In the early to mid 90s they were more of a jazz/rock instrumental band, but since 1999 they have developed more into the Smooth Jazz genre. In the early to mid 90s they were more of a jazz/rock instrumental band, but since 1999 they have developed more into the Smooth Jazz genre. Many of their songs have also been played during The Weather Channel's local on the 8's forecast segments. The band's mascot is a smiling, sunglasses-wearing, jazzy "hip cat" named the Jazz Cat, which appears in the artwork of all the band's releases and on their official website. The Rippingtons were recently nominated for a grammy for their latest release "Modern Art".